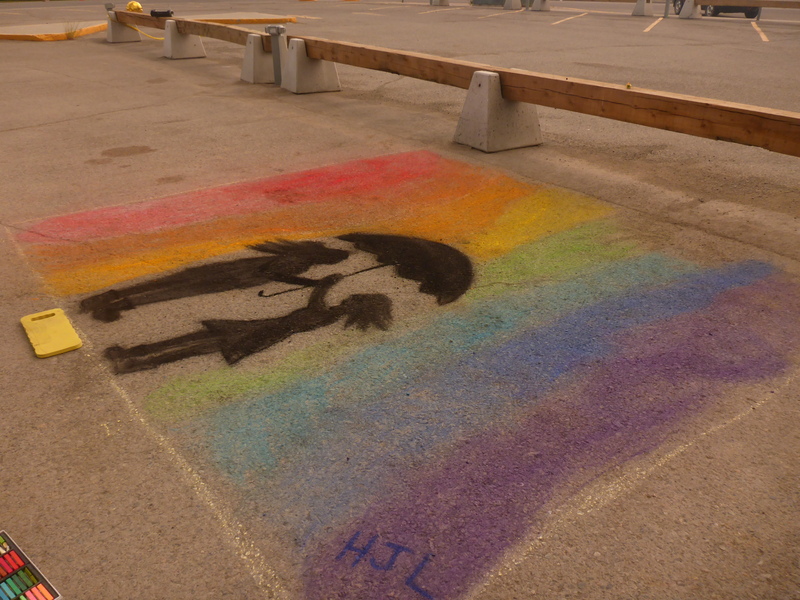 Before Shiphrah and I started our project “Chalk With Me” in June 2013 I had never really given chalk art much thought. The only chalk art I’d seen were children’s doodles, hopscotch, and stick figure creations on sidewalks, and I’d certainly never done any of my own. 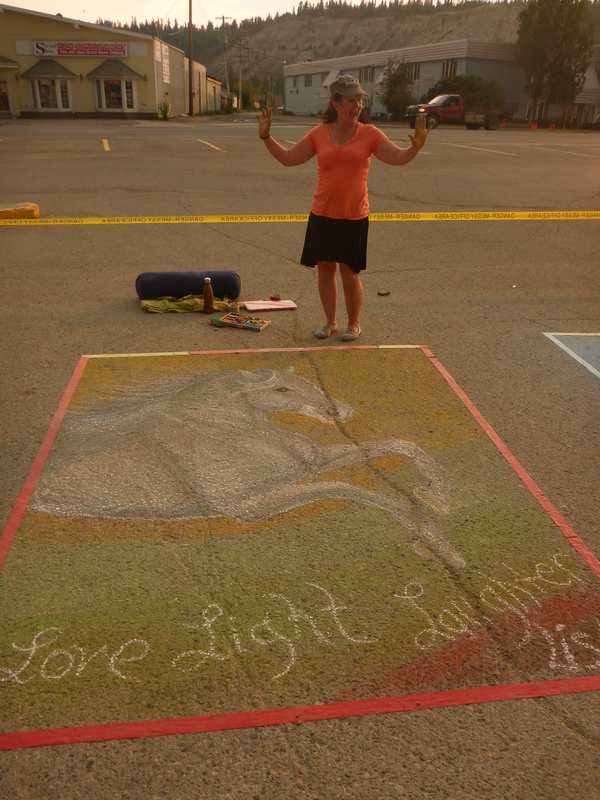 However, as our ‘chalktivism’ unfolded and we collaborated on several chalk art pieces around Vancouver and participated in the Victoria International Chalk Art Festival two years in row, I really grew to love the medium. I just love how interactive it is- you’re doing art outside, you’re interacting with the air, the pavement, you’re environment. You’re squatting or getting down on your knees, you’re getting your hands dirty and just being more free and childlike. And, you’re interacting with people who come by- whether its just a glance, a nod, a smile, or a full-on conversation about your art- you’re connecting. Chalk art has become one of my hobbies, one of many passions, and something I want to share with the world. I don’t just mean my own chalk art, either. I don’t think my chalk art is anything special. Honestly, Shiphrah was really the artistic director of Chalk with me, I was merely an idea generator, happy to fill in the blank spaces, and chalk the backgrounds. But I sure had fun doing it. You don’t have to be great at something to enjoy doing it, and benefit from it. So more than sharing my own art, I decided I really wanted to introduce the medium to others, get other people out chalking! 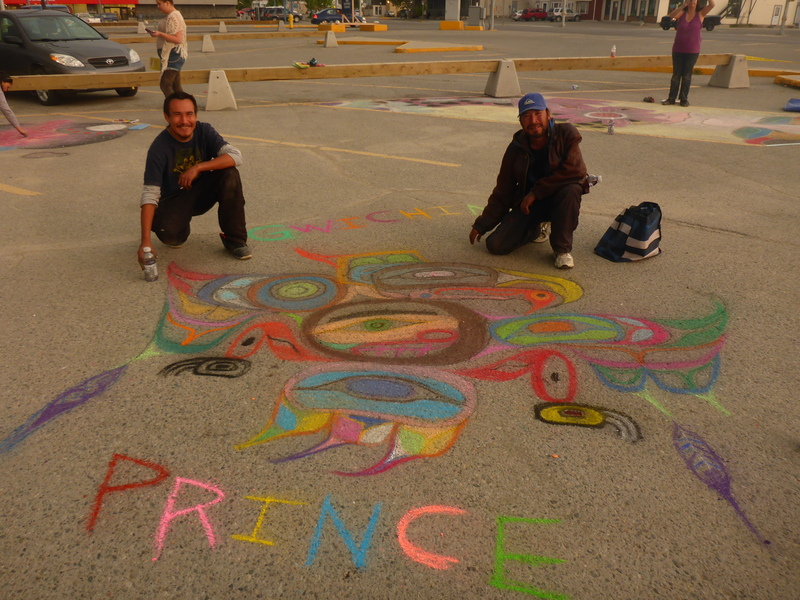 I knew I wouldn’t be able to fly all the way to Victoria this year, so I pitched the idea of our own chalk art festival in Whitehorse, Yukon. 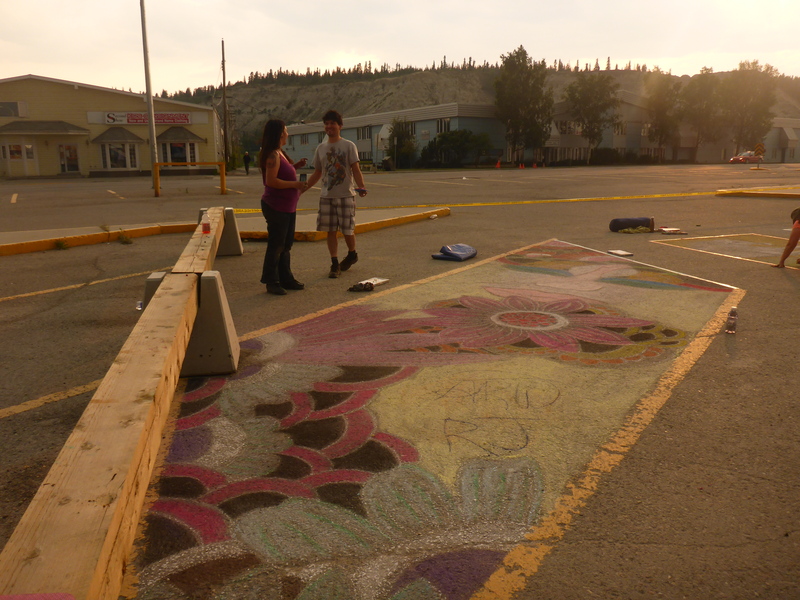 For a pilot project this summer, I worked with the non-profit Yukon Educational Theatre to host a chalk art venue at the Whitehorse Nuit Blanche festival which is an all-night, roaming, contemporary art festival. 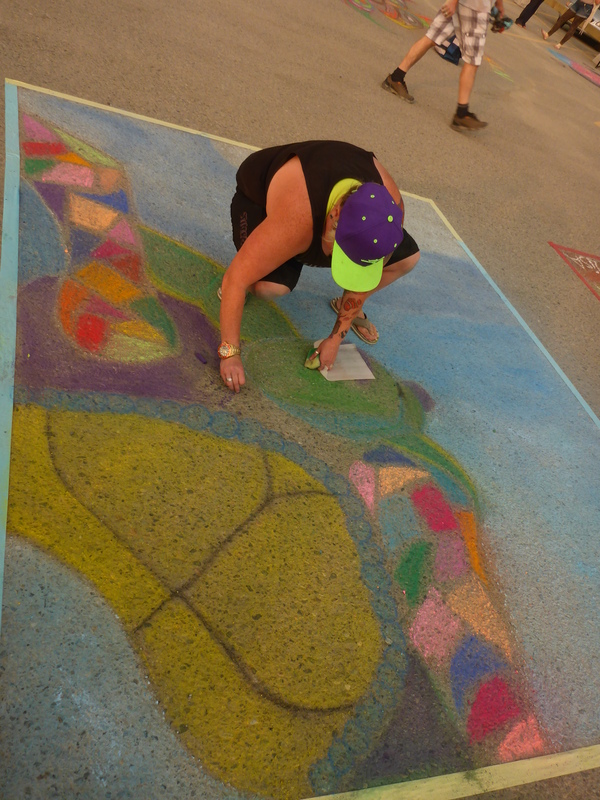 With the help of some local companies: Quantum Machine Works, the Claim Cafe and Food co. and NVD Place, we were able to provide participants with the same awesome Koss chalk pastels that they use at the Victoria Chalk Festival. 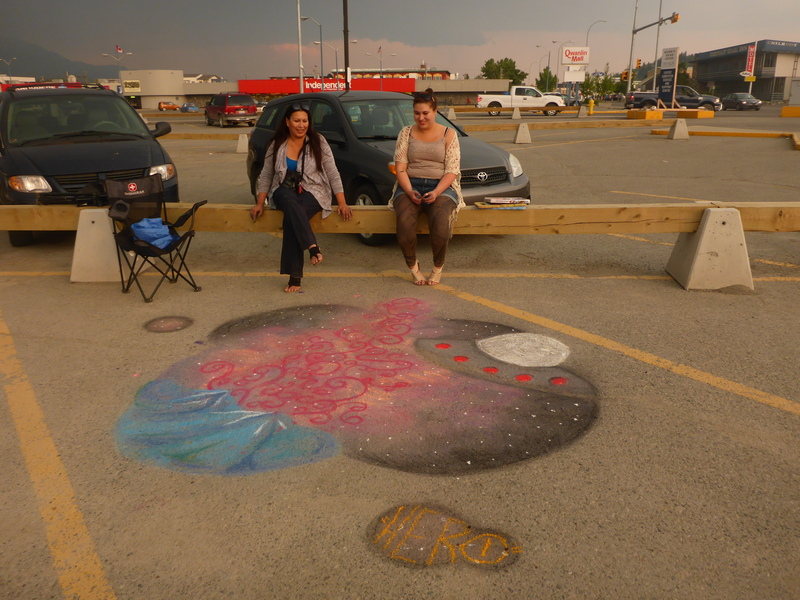 Although the turn out was not as large as I was hoping and the weather Gods didn’t exactly cooperate- before the thunder storm came all the participants had a blast and really created some beautiful artwork. 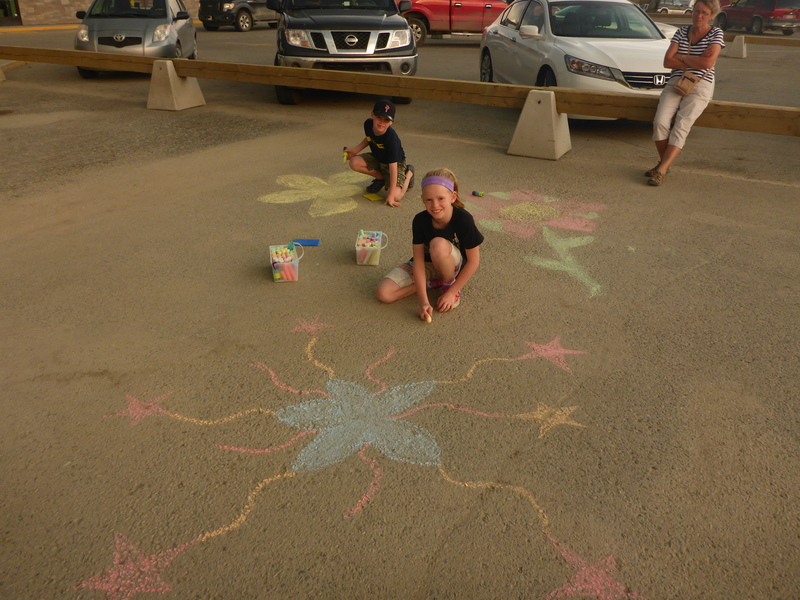 Last Saturday night was “Chalk Art Central” and here are are some of the photos! It felt so good to organize something that people of all ages were able to come and participate in for free for as long or as little as they wanted, and do as much art as they pleased until the rain chased us away. 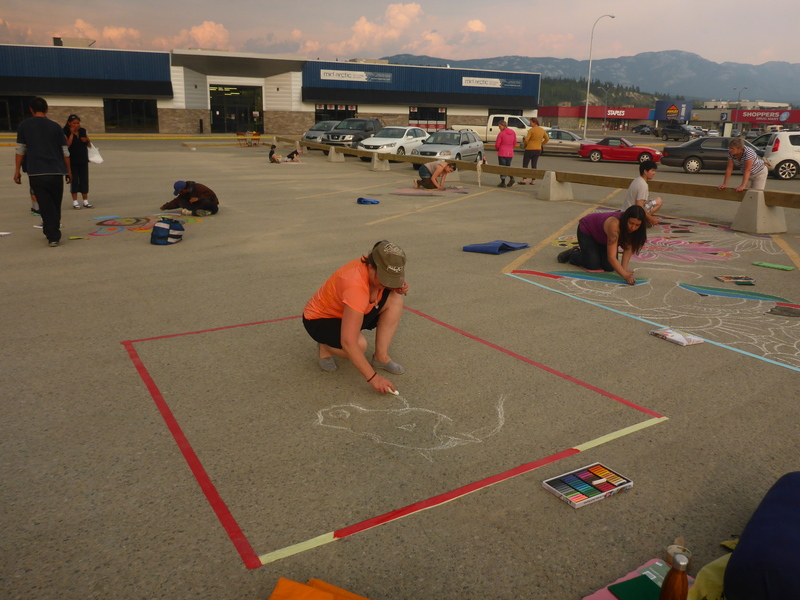 Next summer we’re hoping to put on an independent chalk art event separate from Nuit Blanche, so that we can have it during the day and we can I go bigger and bolder and recruit more artists and art lovers from across the territory and beyond. Until then, go out and get your chalk on! Wherever you are!